Phoenician or Cypriot?, Shell-shaped dish (detail), 7th century BCE. Gold, 2 × 6 inches (5.1 × 15.2 cm). Gift of Barbara Newborg, M.D., from the collection of Walter Kempner, M.D. Collection of the Nasher Museum of Art at Duke University. Photo by Peter Paul Geoffrion. 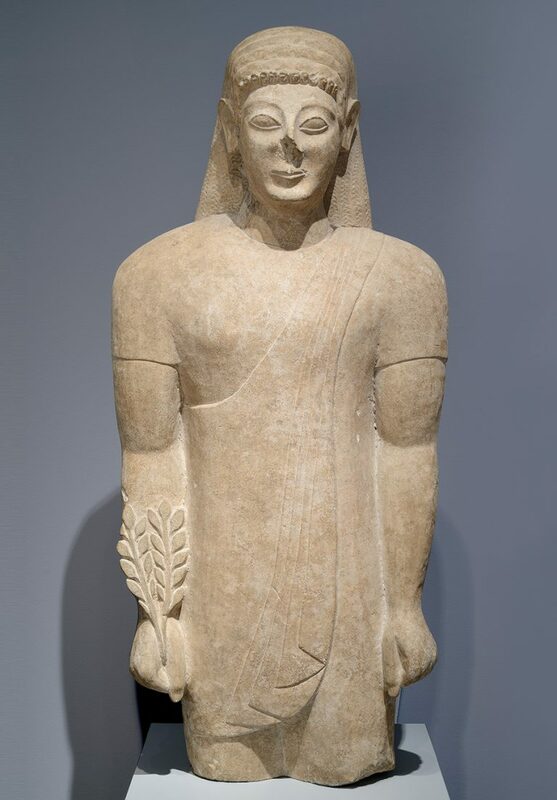 The Ancient World Gallery features works from ancient Egyptian, Greek and Roman cultures. It is one of eight galleries within The Collection Galleries. The Collection Galleries are eight galleries in Wilson Pavilion that highlight 5,000 years of art, contain rotating installations of the Nasher Museum’s extensive holdings. Visit often to make new discoveries at the Nasher! 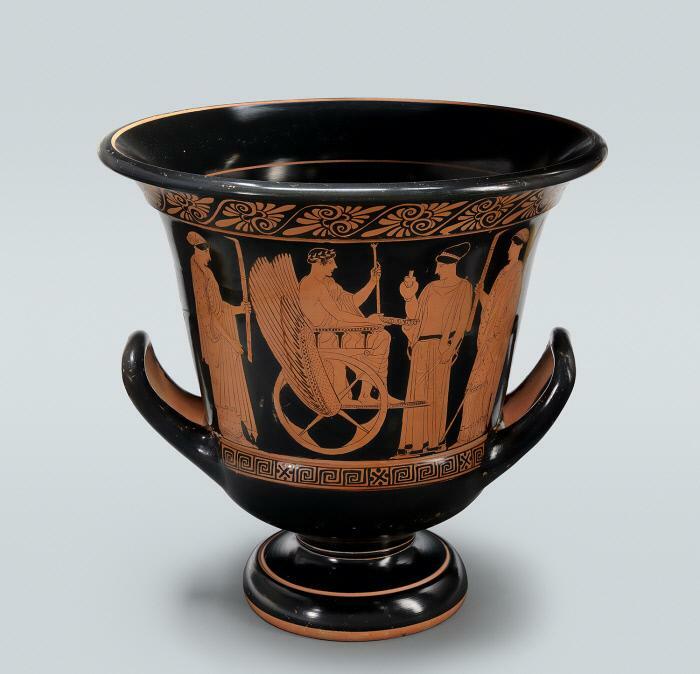 Athenian, Calyx Krater, c. 460 BCE. Ceramic, 30.5 cm (12 in.) x 29.5 cm (11 5/8 in.). Gift of Barbara Newborg, M.D., from the collection of Walter Kempner, M.D. Collection of the Nasher Museum of Art at Duke University. Photo by Peter Paul Geoffrion. Referred to simply as “our sea” by the ancient Greeks and Romans, the Mediterranean has been a nexus of cultures from ancient times to the present. It is surrounded by the continents of Africa, Asia, and Europe, where the major cultures of Egypt, Greece, and Rome emerged in antiquity. These civilizations are notable for their long durations and contributions to many of the cultural underpinnings of Western society that still resonate in science, philosophy, literature, politics, and religion. Their influences were dispersed throughout the large territories they controlled or contacted, along with a wide range of material goods. Additionally, many smaller cultures inhabited this region and their exchanges and interactions left important imprints as well. Duke University Students in Professor Carla Antonaccio’s Greek Archaeology seminar contributed to the research and writing for the current installation in The Ancient World Gallery: Emma Buckingham, Drew Cabaniss, Laura Camp, Elizabeth Djinis, Alex Fowler, Sarah Hilker, Amanda Lazarus, Katie McCusker, Henrietta Miers, Jessica Pissini, Justin Sandulli, Katie Simmons, Katie Tardio, and Ana Wagner. 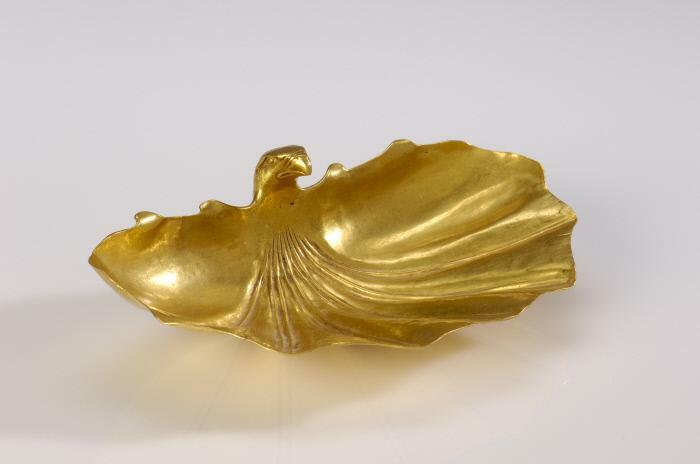 Possibly Phoenician, Cypriot, Shell-shaped dish, 7th century BCE. Gold, 2 × 6 inches (5.1 × 15.2 cm). Gift of Barbara Newborg, M.D., from the collection of Walter Kempner, M.D..
Polygnotos, attributed, Red-figure calyx krater, 460–450 BCE. Ceramic, 18 1/8 x 18 5/16 x 18 5/16 in. (46 x 46.5 x 46.5 cm). The Duke Classical Collection, gift of Dr. and Mrs. James H. Semans; the Thomas and Virginia B. Semans Teaching Collection. 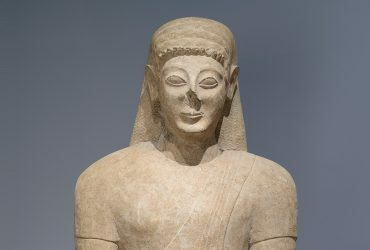 Cypriot, Beardless male votary (detail), 6th – 5th century BCE. Limestone, 47 3⁄4 × 20 × 8 inches (121.3 × 50.8 × 20.3 cm). Lent by The Metropolitan Museum of Art, The Cesnola Collection, Purchased by subscription. 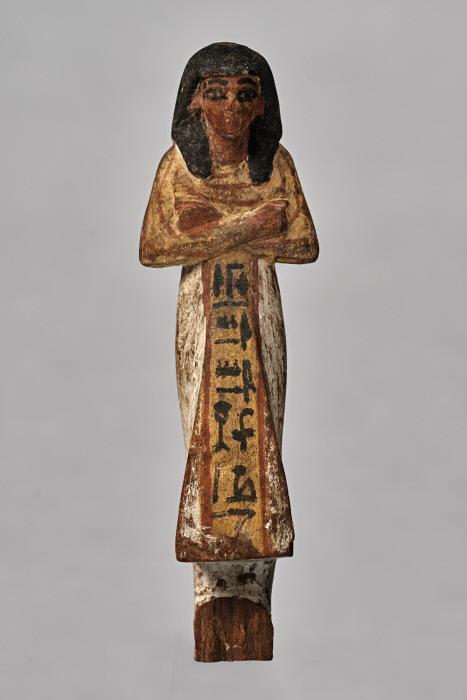 Egyptian/Greek, Shabti, c. 1295–1185 BCE. Polychrome on wood, 7 5/16 x 1 3/4 x 1 3/16 in. (18.5 x 4.5 x 3 cm). The Duke Classical Collection, gift of William Bergh. 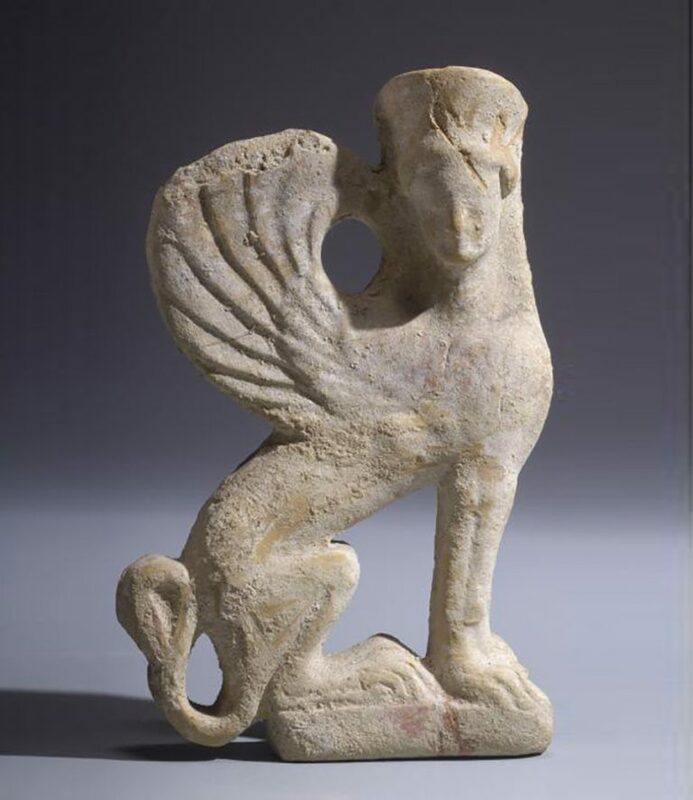 Greek, Corinthian, Cut-out Relief of Sphinx, 5th century BCE, Clay. H. 10 cm (4 in.) W. 6 cm (2 3/8 in.). Collection of the Nasher Museum. Gift of Barbara Newborg, M.D., from the collection of Walter Kempner, M.D. 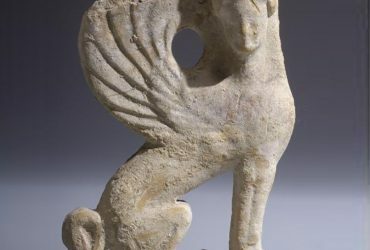 Slideshow of pieces within the Ancient World Gallery.